Doing Remodeling Right is selecting and installing the right products in your new bathroom or kitchen. From smooth operating cabinet drawers, to faucets and bath accessories forged from solid metal. Finishes that still look good after 5 years of daily use. Our experience with many different products and our network of vendors, allows us to supply all the quality products your project needs at competitive prices. Kohler makes a wide range of stylish fixtures and fittings for just about every budget. And many of our clients love the looks. UP: Great selection. Usually readily available. Excellent value for your remodeling dollar. Easy to install. DOWN: Products are sometimes defective. Bath accessories are sometimes made with too much plastic. We Love Beadboard! We're remodeled quite a few bathrooms using Nantucket Beadboard which creates the uber classic timeless look. UP: Comes in a wide range of sizes that provides for fast coverage and easy installation. Consistent from sheet to sheet. Paints well. DOWN: Heavy and creates lots of dust when cut. May require multiple coats of paint to finish smooth. Cabico Cabinets have great design flexibility. Can be shipped in as little as 6 weeks. Well built cabinets feature all wood construction. UP: Short lead time/customization. Nice range of door styles and colors. DOWN: Drawer hardware had issues. Cabico quickly shipped out replacements. Cliq Studios Cabinets offers some of the best kitchen cabinet values around and the quality is tough to beat! UP: Excellent all wood cabinets costing much less then many other companies. DOWN: Limited range of doors, species and colors. 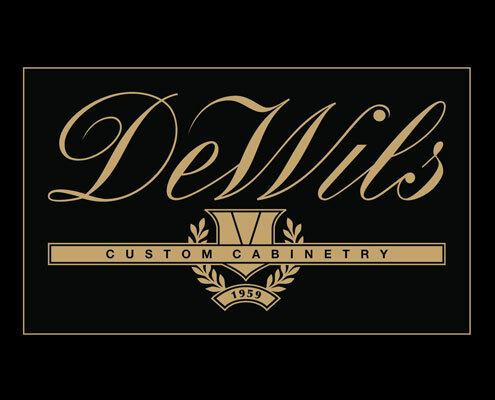 Dewils offers fine custom cabinetry with premium options that are standard. If your looking for the best in cabinets and casework, look no further. UP: Top of the line cabinets with full custom options, colors and styles. Stainless steel drawer cases are also offered. 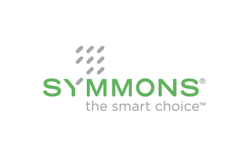 Symmons makes plumbing fixtures for both kitchens and baths and have been installed in millions of homes around the world. Most products are made right here in America. UP: Very well made and the heft and weight of Symmon products is impressive. TOTO Makes some of the best toilets in the world! We've always been impressed with the looks and functionality of TOTO toilets. UP: Clean lines and easy to clean. Call-backs on TOTO toilets are rare. Sterling tubs and showers are a favorite as they are easy to install and look really good when we are done! UP: Very easy to install. Some models require virtually no caulking. Easy to clean. DOWN: Some tub models maybe too deep for some. Can also be too plain looking for some. 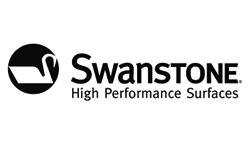 We've installed many Swanstone Surrounds on both tubs and showers and our clients always love the look. Plus the ease of cleaning is always a bonus. UP: Seamless look is nice and the excellent quality is always consistent. DOWN: Storage alcoves are limited. Ark Shower Screens- A unique solution to the shower door or shower curtain dilemma. UP: Thick glass provides a rich look and the hinges are awesome. Corian by Dupont offers durability and colors virtually unmatched by any other solid surface manufacturer. Their solid surfaces deliver high performance and outstanding aesthetics. Silestone is natural quartz surface treated and created to decorate today's kitchens and bathrooms in a range of attractive quartz colors and extraordinary quartz textures with top-quality performance. It is the only countertop with an bacteriostatic protection that guarantees maximum hygiene on its surfaces.